The session will be led by Ruth Piper and Catherine Knight. All are welcome, so come and join the conversation. Please book in advance if you plan to attend and/or present your work. After sinking Bristol Diving School with Velcro Hooks last November, Howling Owl Records and Bristol Diving School are once again ready to infiltrate the art world. 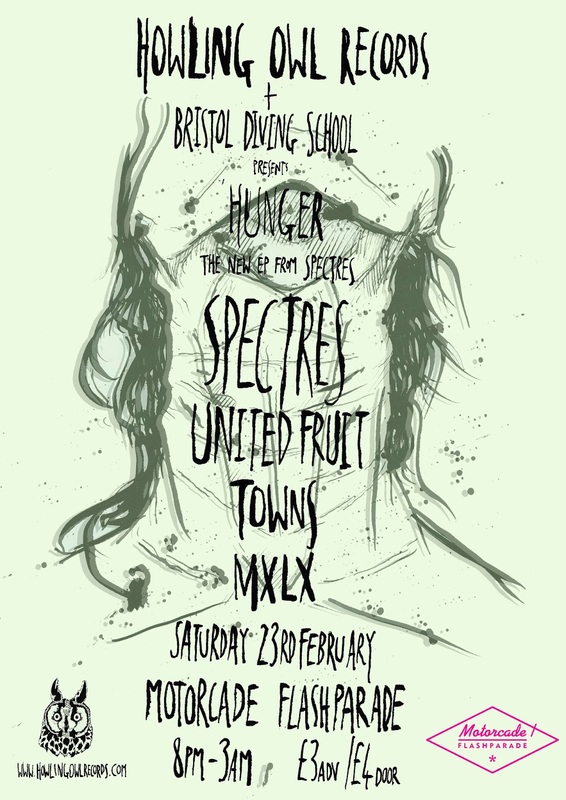 Motorcade Flash Parade is pleased to host the launch of Spectres new EP 'Hunger'. Spectres won Artocker magazines Unsigned Act of the Year and have been featured in the Stool Pigeon and The Guardian. They have flattened everything in their wake with noise, and they are ready to step it up again. Their new EP sees them take their sound into new areas...even more intense and uncompromising. 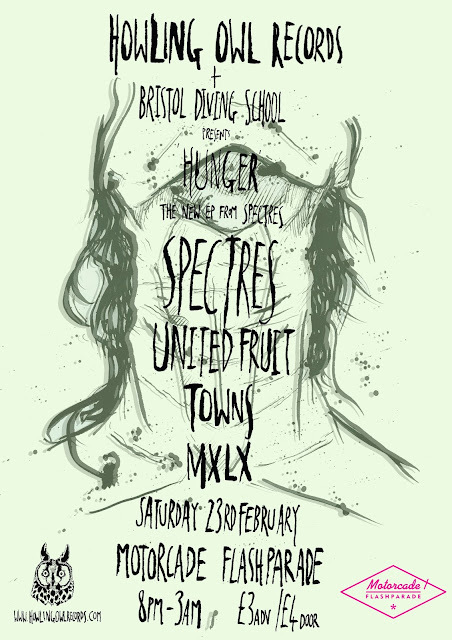 Joining Spectres will be long time stage companions and one of the best bands in the country today: Towns, Scottish beasts and long time Howling Owl collaborators United Fruit and the Invada Records signed one-man noise machine MXLX.